At Dove Dentistry, our Allen cosmetic dentists provide multiple procedures to help you get a more beautiful smile. Cosmetic dental care helps teeth look whiter, healthier, more symmetrical, and can even make your smile stronger with tooth-colored prosthetics. No matter what your dental concern may be, we help you find solutions so you can meet your goals for care. Dr. Lisa Hsu and Dr. Paul Yew love to create and help patients enjoy beautiful new smiles! Cosmetic treatments address numerous dental issues, from discolored teeth to missing and decayed teeth. 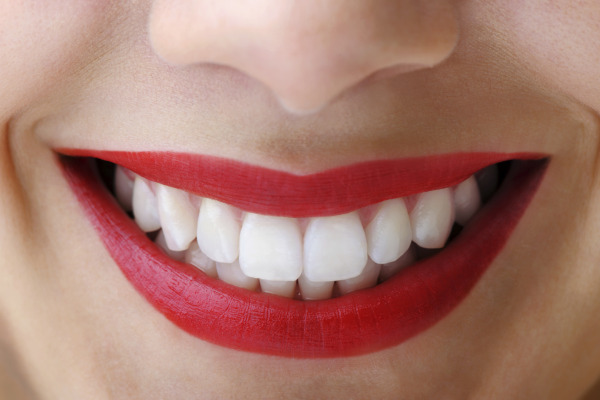 Even better, many cosmetic therapies can make your teeth stronger and boost oral function. • Opalesence Teeth Whitening: This bleaching system provides patients with a stunning smile, without sacrificing their time. In-office teeth-bleaching is fast and whitens teeth an average of 4 shades, with results being almost immediately visible. Our patients enjoy a dazzling new smile in no time. Take home and On-The-Go options available. • Porcelain Dental Crowns: We create tooth-colored porcelain dental crowns that are fully customized, according to your needs and cosmetic dental goals. Crowns cover damaged teeth, making them look healthy and restoring their biting and chewing strength. • Composite Fillings: Composite materials are used to create dental fillings that closely mimic the qualities of natural teeth. Tooth-colored fillings remove the potential problems related to amalgam (silver) fillings, such as exposure to mercury and increased sensitivity to heat and cold. • Fixed Bridges: Dove Dentistry provides its patients with fixed bridges as an effective solution for missing teeth. A fixed dental bridge fills in the gap caused by a missing tooth by utilizing a few dental crowns and a pontic (fake tooth). Bridges prevent the challenges caused by missing teeth, allowing patients to naturally bite, chew, speak, and smile with confidence. Our practice is devoted to delivering excellent care in a compassionate and peaceful environment that yields optimum results for your treatment plan. We strive to provide the service and comfortable atmosphere our patients need in order to relax. To ensure the best possible outcome, we use top-of-the-line equipment, such as digital x-rays, for accurate treatment planning and a comfortable experience. Our Allen, TX cosmetic dentists perform a variety of aesthetic dental therapies to help restore your smile to its natural beauty. If you want more information, or would like to make an appointment, please contact us today. We are off Hwy 121 (Sam Rayburn Tollway) and welcome patients from surrounding communities.